Reports out of the twin-island republic of Trinidad and Tobago suggest that Diego Martin’s MP, Dr Avery Browne is calling on the island’s Medical Council to “break the silence” on the recent alleged cocaine surgery performed there. “The Medical Board must have a role to play. An urgent investigation is essential not just by the police,” said Browne. Browne has called on the Minister of Health to investigate the matter urgently. According to the reports, the Trinidad Express was first to break the story on an alleged surgery performed there by a prominent surgeon who is said to have conducted the surgery at a private hospital to remove 17 cocaine pellets in a male patient. 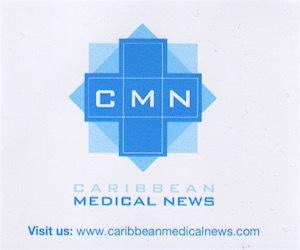 “The Medical Board of Trinidad and Tobago must not be silent and has a critical role to play in determining whether there was any breach in medical practice when a prominent surgeon failed to alert the police after removing cocaine pellets from a patient”, said Browne. The man on whom the surgery was allegedly performed is said to be “resting comfortably at the Eric Williams Medical Sciences Complex” after being transferred there on December 30, the Trinidad press has reported. “The cocaine trade continues to flourish in Trinidad and Tobago and clearly for this industry to be doing so well as it is doing it will be receiving assistance by a wide range of institutions and every single sector in this country,” said Browne. “This most recent incident makes it clear that the medical practice and the health sector are not exceptions to this reality,” he added. “I view anyone who assists or facilitates the cocaine industry to be just as bad as a mass murderer or a serial killer and society’s response to such transgressions should be very severe,” Browne said. 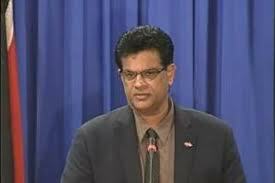 The MP also said that he was not pleased with the response from Health Minister Dr Fuad Khan on the matter. Browne said that the Health Minister has indicated that his ministry is not in a position to take any action on the matter.